NEW CONSTRUCTION TO BE BUILT. Come visit Halsted Hollow North in desirable Farmington Hills where within miles, there is plenty of shopping, restaurants, entertainment & easy access to freeways. 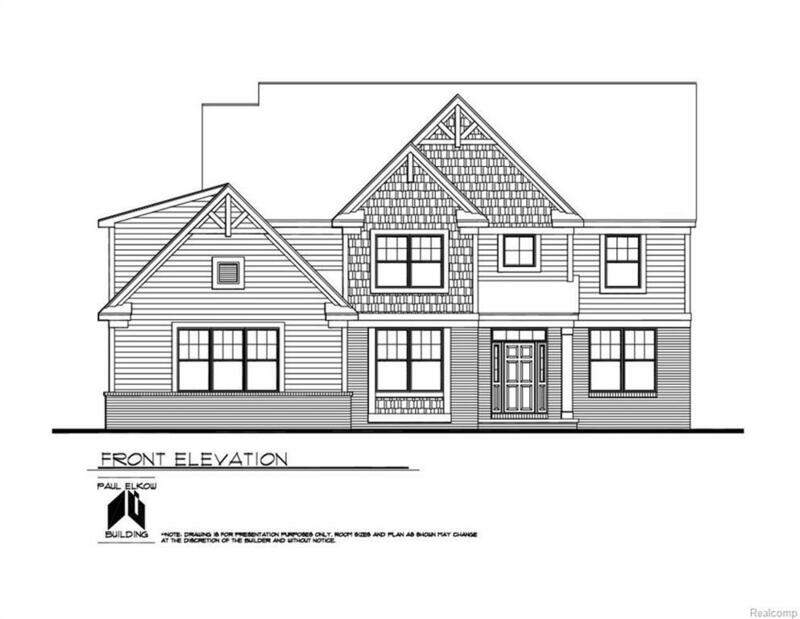 This plan offers a two story with 4 bedrooms & 3 full baths. The kitchen, with an island and granite counter-tops, is open to the nook which opens to the great room that has an inviting fireplace, and allows for an open living area great for entertaining. There is a butler's pantry, with granite, on the way to the dining room from the kitchen. The mud room off the three car garage is a generous size with a closet. The study is at the front corner of the house making for a quiet space. The master bathroom has a soaking tub and tiled shower with a seat and granite counter-top. There are 3 additional bedrooms, 2 full baths, and a laundry room on the second floor. BATVAI. M&D ARE APPROX. Buyer to pay L.A. $295 transaction fee. COMMISSION IS BASED ON BASE PRICE ONLY.